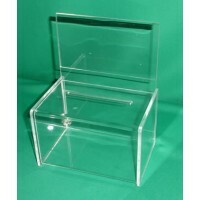 Donation Box with Flapping Opening made from 1/8" thick clear acrylic material and reinforced with 3/16" end-cap side walls. 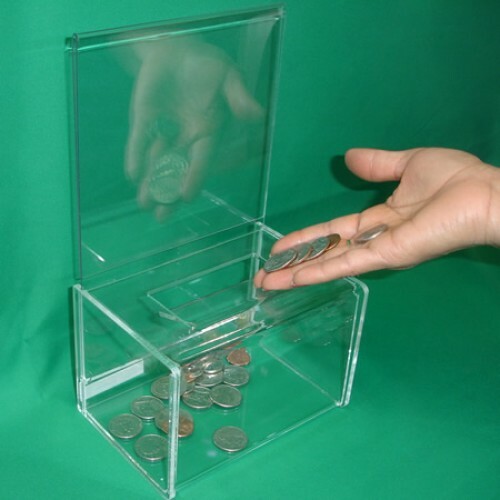 Each Donation Box has a removable back which is used as a Sign Holder, for displaying visual information. 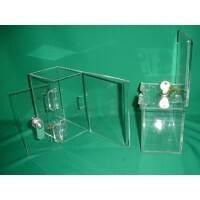 In addition each Donation Box has holes on each side, one set for a padlock or a zip tie, and another for a security cable (not included). 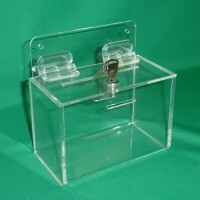 DJ-100, Donation/Collection Box Each Donation box comes with a lock and 2 keys allowing secure stora..
DJ-64, Strong Donation BoxThis Strong Donation Box made from 1/8" thick clear acrylic material and r..